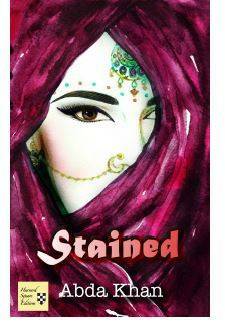 I've come to the party late in reviewing Abda Khan's first novel, Stained. But seeing Abda speak at the recent Everybody's Reading festival about her forthcoming second novel, Razia, made me want to read her earlier work. The Booklist described Stained as 'a contemporary Tess of the D'Ubervilles' and that is not a bad way to define Khan's novel. Certainly Hardy fans might feel she has borrowed considerably from the classic. But Hardy was decidedly English, whilst Khan's work deals completely with the contradictions of a Pakistani community growing up in a Britain that they have made their home. The central character, Selina, (a first person narrator) is utterly believable as a young woman caught between two cultures and trying desperately to do the right thing to prevent dishonour being brought upon her family. But what a Muslim woman like Khan brings to her narrative is a clear understanding that women like Selina have their lives moderated through the views and actions of men. It is a powerful feminist message and not just one for the Islamic community. Definitely a book to be read. Anthony L Church is the principal writer for Loughborough-based Stage Left Theatre Workshop, for whom he also acts. For the company he has written A Man of Humble Beginnings, an adaptation of The Queen and I, Bella and the Tyger-Man and is working on a modern version of Hansel and Gretel. He is also the author of several short stories and poems.